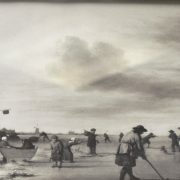 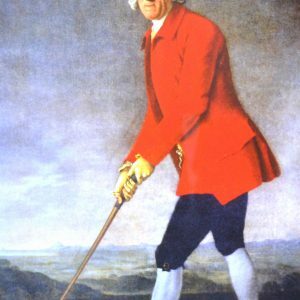 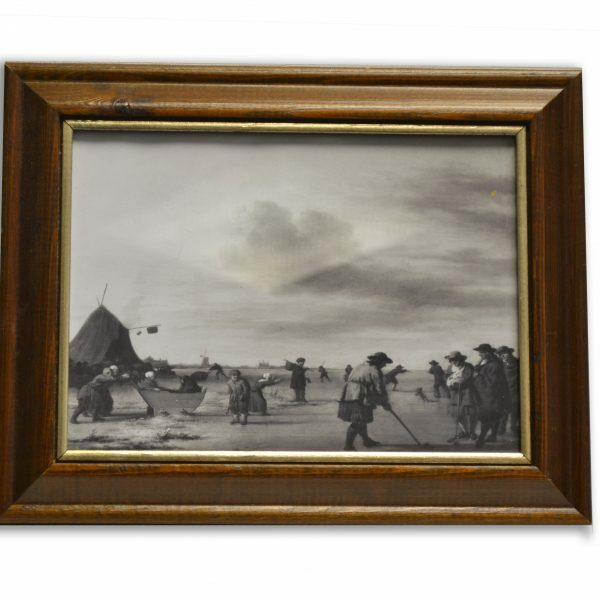 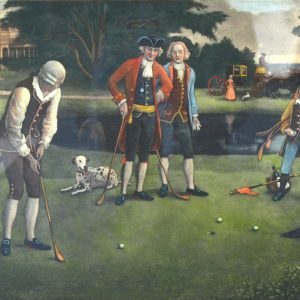 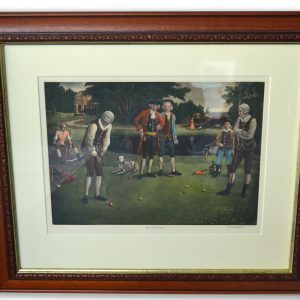 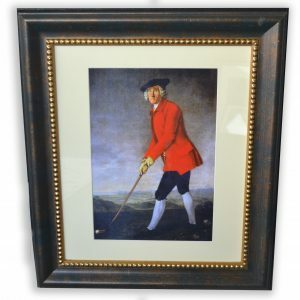 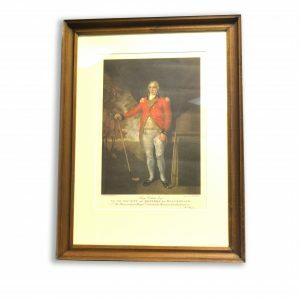 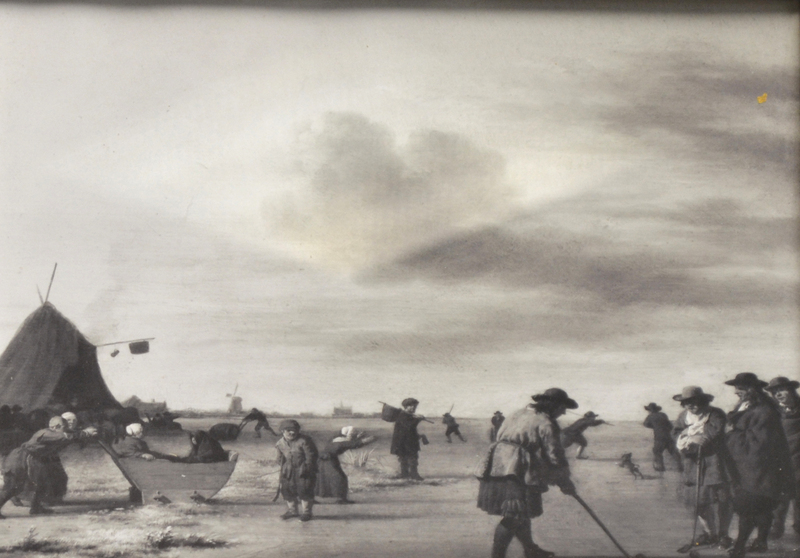 A copy of Van De Velde’s portrait A Frost Scene, Van De Velde 1635 1672 painted this scene of men playing golf or kolven as it was known in Holland in 1668. this print was originally published in 1920 in A Golfer’s Gallery of Old Masters, abound collection of golf art. 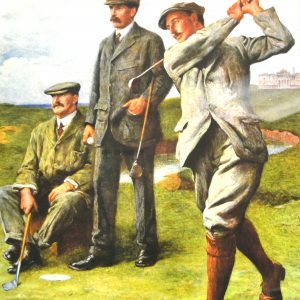 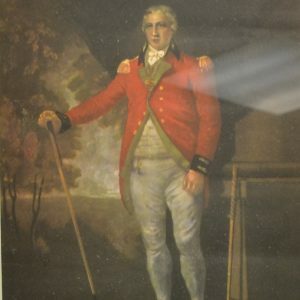 Most of the prints are overruns from the publication of the book, however two other issues are known. 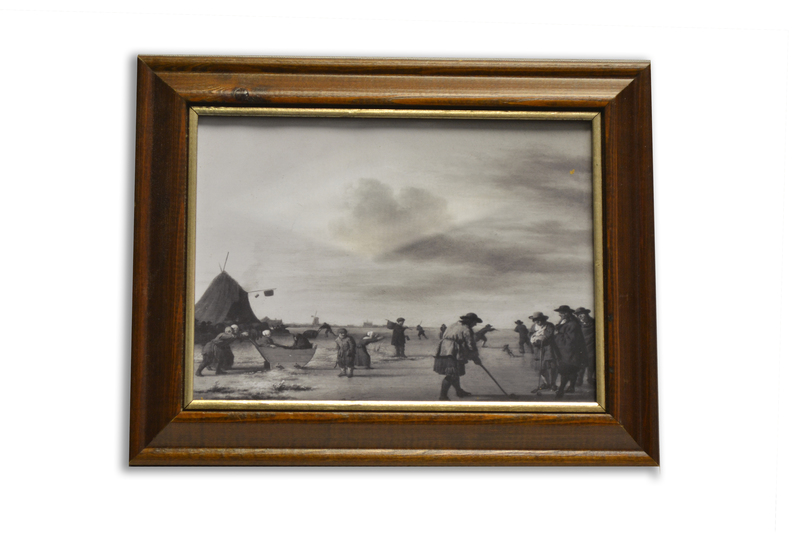 An engraving by J.Aliamet was done in France in the eighteenth century and was titled “Les Amusements de L’Hiver” but the scene was printed in reverse. 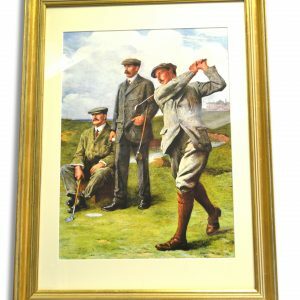 A recent limited edition of this print has been done on canvas.